Since the middle of November 2015 all our HTTP CDN services (CDN Static and CDN Static Push) support the new HTTP/2 protocol. We have deployed several tools and articles into our CDN knowledge base to help you to get familiar with this fantastic improvement of the traditional HTTP protocol. 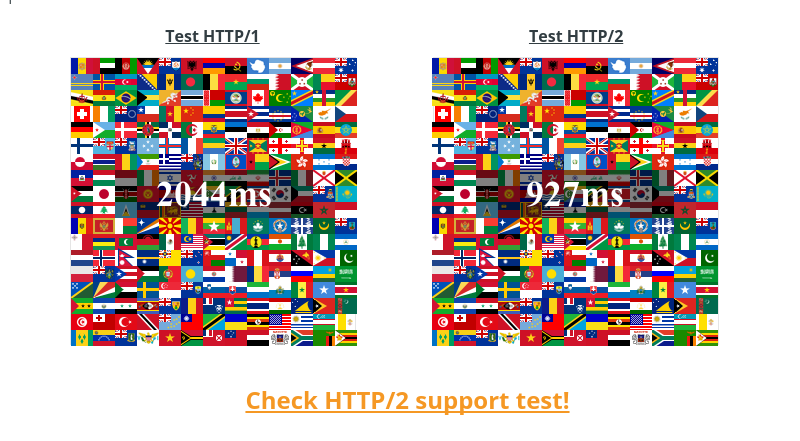 Allows you test if your CDN service or your website is compatible with the new HTTP/2 protocol. Please note that all current browsers that support HTTP/2 require SSL encrypted connection for HTTP/2 and also this tool performs the test over the https:// scheme. The tool can be found here. Allows you to interactively compare speed of content delivery over the traditional HTTP/1 protocol vs. the new HTTP/2 protocol. It loads the same content via HTTP/1 and HTTP/2 and measures the response time. The tool can be found here. 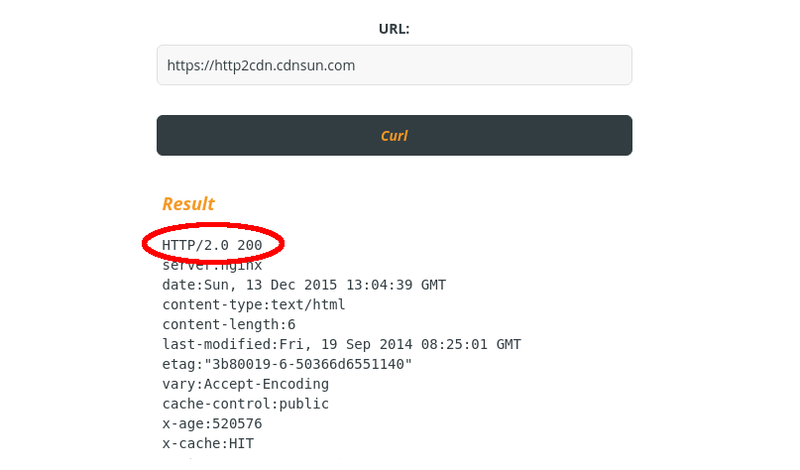 We have updated our online curl tool to the latest version to support HTTP/2 via the nghttp2 C library. If you would like to update your own command line curl to support HTTP/2 we can recommend this page on github.com. As usual the online curl tool can be found here. A list of frequently asked questions about the HTTP/2 protocol can be found on the HTTP/2 support and HTTP/2 speed test pages. If you have any questions about HTTP/2 or about our CDN please contact us via our helpdesk or email our support. Sincerely your CDNsun team.